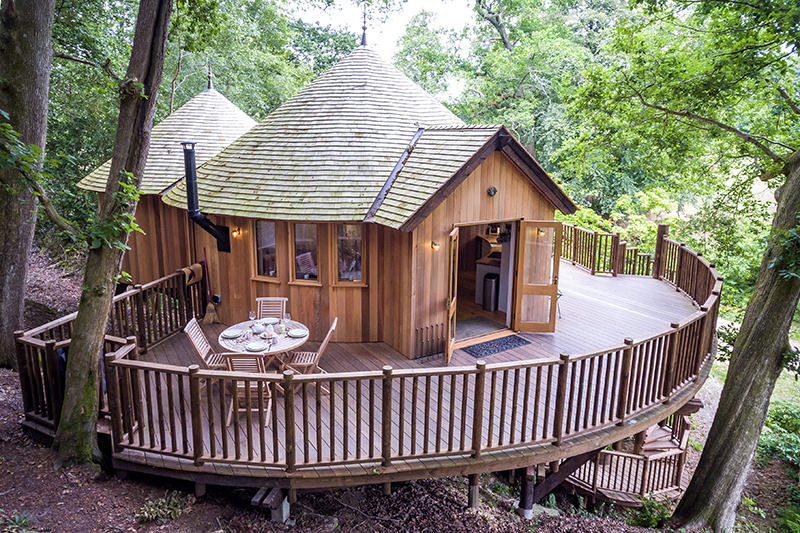 Take your holiday to new heights with a treetop stay in one of these nine incredible tree houses and be in with a chance of winning a free stay while you’re at it. 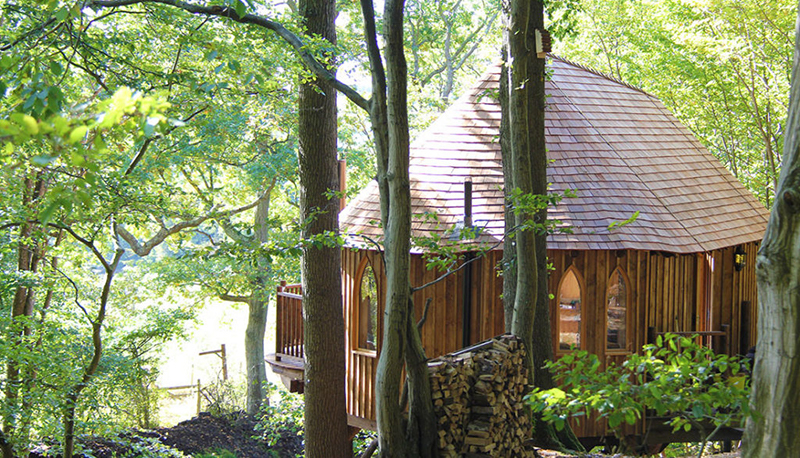 With over 80% of travellers saying they’ve booked a holiday rental to unplug, these quirky woodland escapes are nestled in the heart of nature and are perfect to do just that whilst offering all the comforts of home. 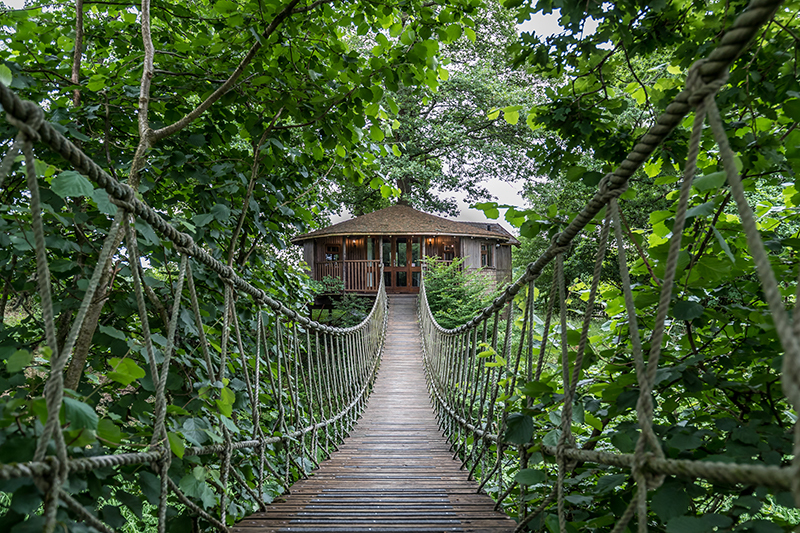 From a Costa Rican rainforest escape at a striking eco-lodge to a magical Treehouse Retreat closer to home in North Devon, here’s some of the best from across the globe! 1 bedroom (sleeps 2), from £205 per night. 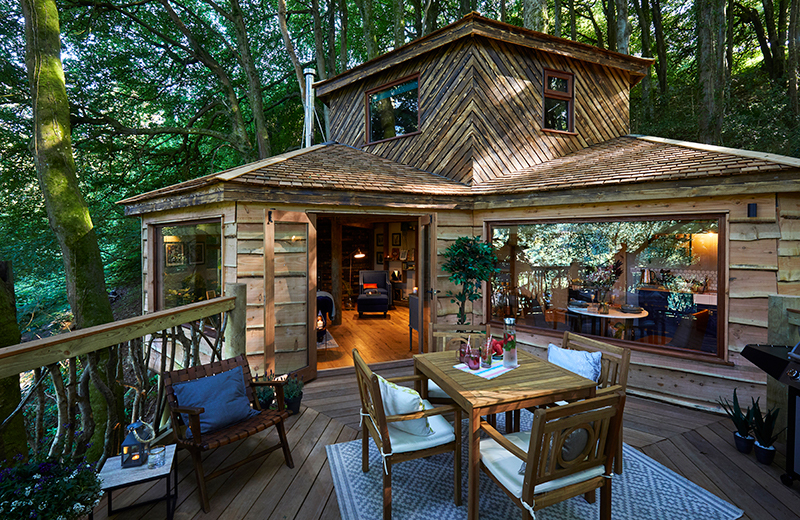 Styled by Wayfair, the destination for all things home, the Treehouse Retreat offers a unique escape from everyday life. Inside, the luxury rental boasts a waterfall shower, meditation and yoga corner, games area and reading nook to help guests de-stress inside, whilst outside, a spacious terrace with sweeping valley vistas provides the perfect place to unwind and indulge in a delicious homemade pizza using the treehouse’s wood-fired pizza oven. 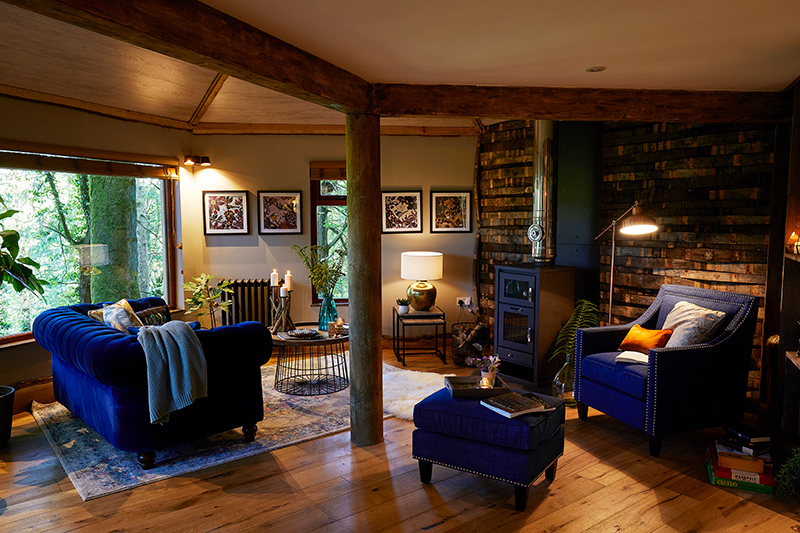 Best of all, from now until 31st July, UK residents can enter to win a weekend getaway at the Treehouse Retreat, available exclusively through TripAdvisor Rentals. 2 bedrooms (sleeps 4), from £204 per night. 1 bedroom (sleeps 2), from £179 per night. 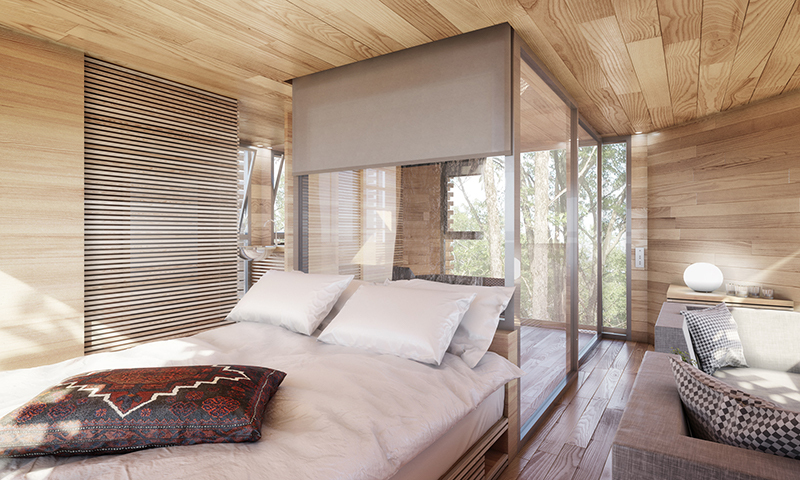 This luxurious 1-bedroom Sussex treehouse is a stylish and magical way to experience treetop living. 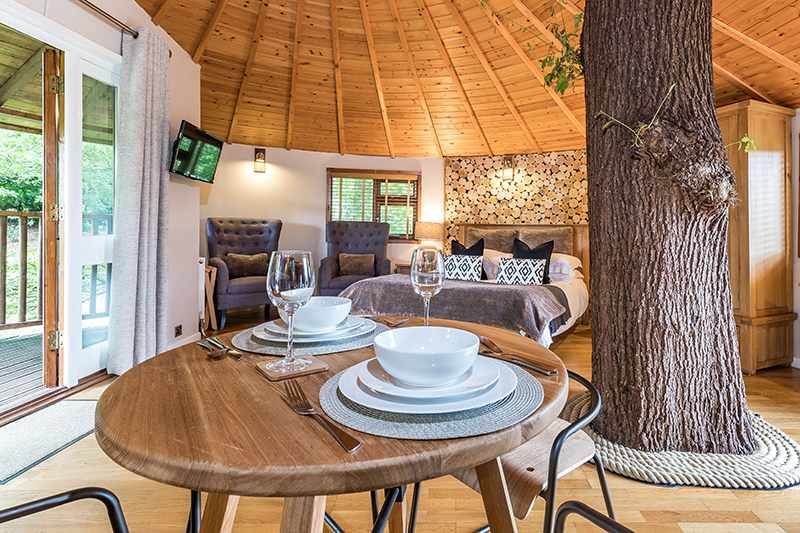 Comprised of an open placed living space that is built around a mature oak tree, this secluded treehouse offers modern, centrally heated self-catering accommodation with a fully equipped kitchen and an ensuite shower room – perfect for two people. 2 Bedrooms (sleeps 4), from £230 per night. 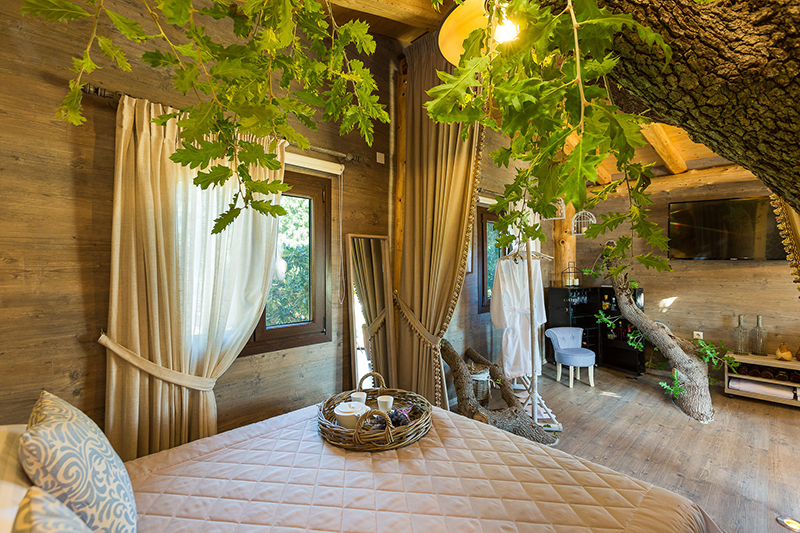 With a beautiful spiral staircase and curved walls, luxurious copper bathtub, exquisite views over woodland grounds and an extravagant beamed ceilings that protrude through the building, this magnificent treehouse offers unparalleled style and luxury. The grounds include an on-site tennis court nestled in the trees. 1 Bedroom (sleeps 4), from £181 per night. This beautiful property is built in amongst the branches of a magnificent oak tree and is as spacious as it is stylish. The wooden floors and ceilings combine with soft brown and grey fabrics and furniture to create a natural feel throughout the home. The terrace, boasting an inviting Jacuzzi, is the ideal place to spend your days when you’re not relaxing on Gerani beach, which is only 5km away. 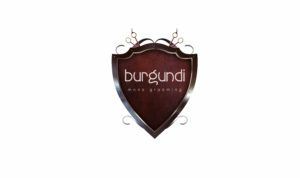 1 bedroom (sleeps 2), from £287 per night. 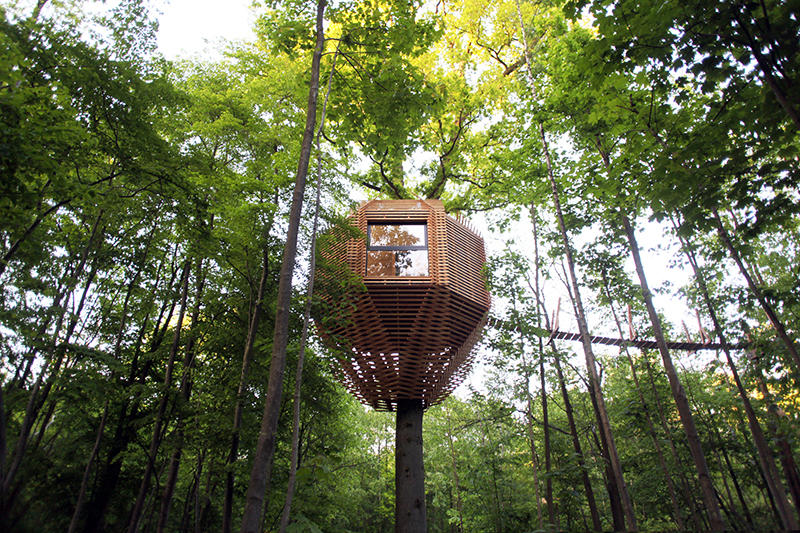 Sitting in the forests outside of Paris, this modern treehouse suspended 11 metres in the air will surely bring out your inner child. 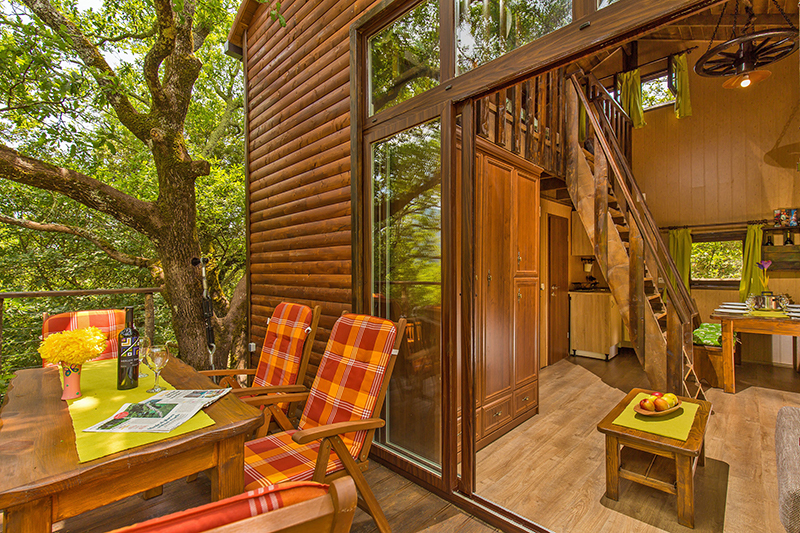 Follow the gangway to its terrace, which boasts panoramic treetop views, and is perfect for relaxing. After a day of exploring, ease yourself and unwind in a private hot tub. Breakfast is included and is set at the bottom of the treehouse in the morning; luckily, there’s a handy rope attached so guests can pull it up. 3 bedrooms (sleeps 6), from £128 per night. Surrounded by treetops, this impressive and unique property stands on a 50 metre-squared platform of oak trees and is powered exclusively by solar energy. 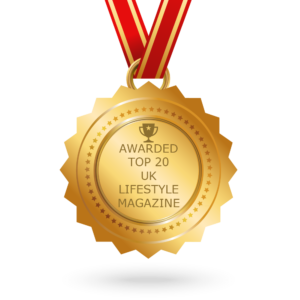 The project was the first of its kind in Croatia and won the ‘Innovation of the Year Award’ in 2016. 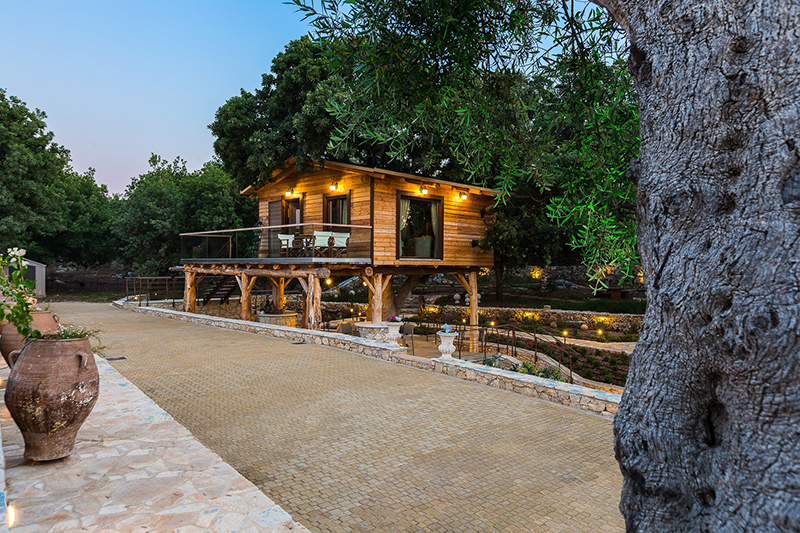 The treehouse can accommodate up to 6 people, boasting three bedrooms, one bathroom, and an expansive open-air terrace to enjoy the fresh air and views over the beautiful Konavle valley. 2 Bedrooms (sleeps 4), from £147 per night. 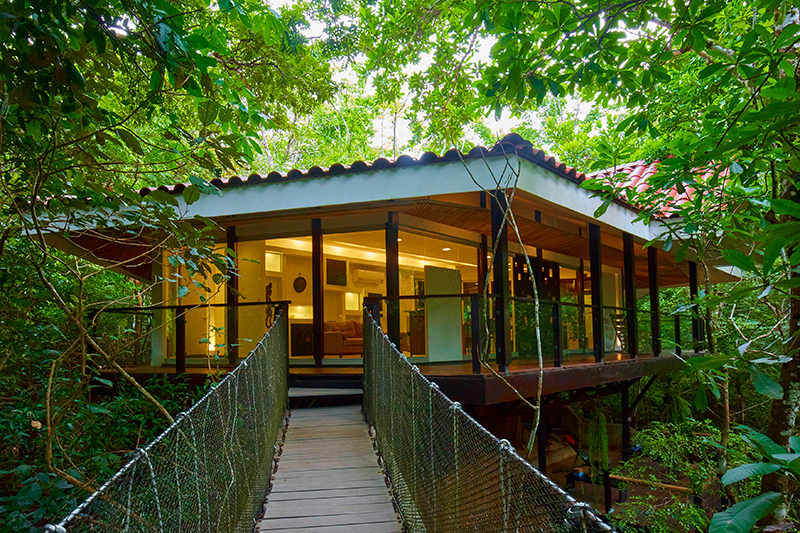 A hanging bridge will guide you over a seasonal creek towards this stunning treehouse framed by glass and large Teak wood decks. It’s fully-equipped with modern amenities including exercise machines, ergonomic mattresses, bar with speakers and a swimming pool surrounded by loungers. 2 bedrooms (sleeps 7), from £150 a night. This unique award-winning ‘eco-luxury’ retreat is nestled amongst rainforest with an infinity plunge pool and cosy wraparound lounge area offering endless forest views. 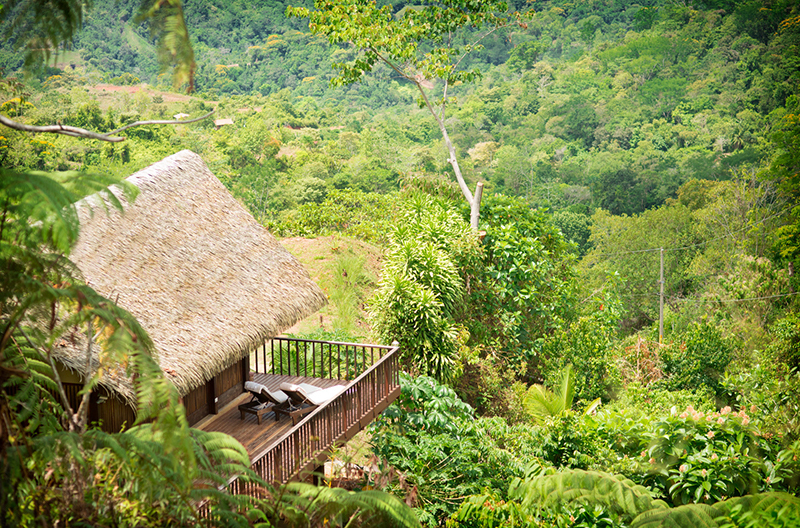 Monkeys, parrots and toucans all frequently visit the lodge and its surrounding reserve. 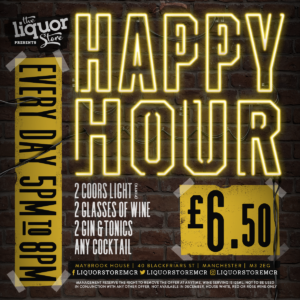 The most magical time of day is late afternoons where you can sit back with a glass of wine and catch a glimpse of some of the local wildlife. Visit Trip Advisor Rentals for availability and bookings. © VIVA Magazine, All Rights Reserved.